As you've seen in previous posts about what causes cancer, The Basic's of Cancer- in Layman's Terms and One in Three Will Get Cancer, the way we optimize our health is by killing active cancer cells and reestablishing a balance within our body. This is not solely about cancer, as the beginning of most health issues begins with inflammation. When you are diagnosed with cancer, you can either choose traditional treatment of surgery, chemotherapy and radiation, or you can treat it naturally. But if you choose the former, traditional treatment, you will need to work much harder to create proper balance after treatment.....that is, if there ever is an "after treatment". Many will remain in traditional treatment until their demise. With what I know now, I would have never agreed to conventional treatment before trying the natural approach. The problem was, I didn't know about the natural options prior to having cancer treatment. I didn't even know anything about cancer! There are so many sources for information on the internet, and so many conflicting opinions, it's nearly impossible to filter through, especially when you are scared beyond belief and holding your new cancer diagnosis. As I researched cancer, I started to develop a clear understanding and strategy for getting healthy. Once I finished chemotherapy and surgery, I chose to turn down radiation and get my immune system up and running as fast as possible. A strong immune system is an important way to prevent cancer and recurrence. I wish I had known what to do from the very beginning. I could have avoided all of the torture of conventional medical treatment. Regardless, here is what I know now. Create Healthy Bloodflow- Thinner blood, unclogged arteries, healthy blood pressure and increased circulation all work to prevent damaged and sedentary cells from mutating to form cancer cells. Reduce Oxidative Stress- Toxins and bacteria enter our bodies and create free radicals (damaged cells). These damaged cells can mutate to form cancer cells, dividing and multiplying to form tumors. Anti-oxidants play an important role in scavenging free radicals and killing them before they mutate, relieving us from oxidative stress, inflammation and premature aging. Boost the Immune System- The immune system is our biggest ally in preventing cancer. Our white blood cells devour toxins, bacteria, and viruses. Sugar can be detrimental to our white blood cells, so one of the ways we can boost the immune system is to prevent excess sugar (glucose) from getting to the white blood cells either by reduced consumption or blockage of glucose. Reduce Acidity- Cancer likes an acidic environment. Not only does it thrive in acid, it creates it as a byproduct of cancer growth. A diet full of soft drinks, red meat, and processed foods all greatly increase acidity in the body. But one of the biggest acid producers in our body is stress. By living with a great deal of stress, the body is constantly producing and retaining lactic acid in muscles....cancer's favorite environment. how do we go about doing it? This is where we "CONNECT THE DOTS"
There are four categories of what I feel are the most important components to combat not just cancer, but diabetes, heart disease, arthritis and many other systemic ailments. The first category is called GOLD, the strong active cancer killers. These are the strongest, most important compounds that have proven to cause cell death in many different types of cancer. And even more importantly, these have little to no negative side effects. Because these in particular are so important, there are links to each ingredient to another blog post with information about them and references from clinical studies done on each one. 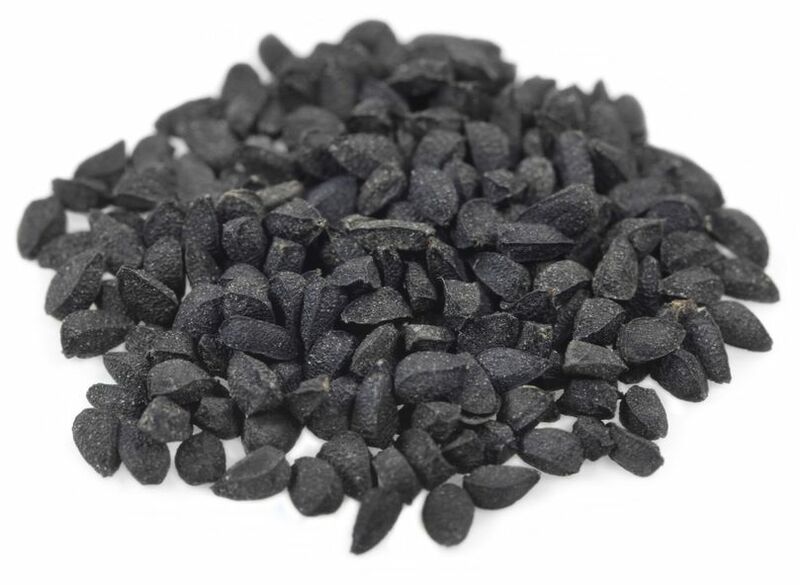 Black Cumin Seed- Nigella Sativa comes from a flowering plant found in Asia. It has been used in Chinese medicine for centuries, as far back as the 5th century BC, and was even found in the tomb of one of the Pharaohs of Egypt. It is a strong anti-oxidant, produces apoptosis (cell death) in cancer cells, increases circulation, and is used in treatment for cancer, diabetes, heart disease, epilepsy, allergies, colitis, and numerous other ailments. It boosts the immune system and bone marrow. They are also a good source of Omega-3 Fatty Acids. The health benefits of Black Seed and Black Seed Oil are extraordinary. Works in synergy with Honey. Indian Long Pepper Fruit- Piper Longum has also been used for centuries, and its use dates back to the 5th century BC. This hardened unripe pepper has proven to be a strong anti-oxidant and anti-bacterial agent. It has shown activity against parasitic infections, protects against the effects of radiation, and induces apoptosis in many different cancer cells. It has been proven to be effective against prostate, breast, ovarian, and colon cancers, as well as melanoma, lymphoma, leukemia and glioma tumors. There's so much punch packed in this small fruit. Works in synergy with Curcumin (listed below). Mangosteen- Garcinia Mangostana is a strong anti-oxidant. Many studies have shown this fruit's anti-cancer effect on breast, prostate, bladder, pacreatic, colon, melanoma, and colorectal cancers. There are more than 50 xanthones found in the pericarp of this fruit, with many found to be beneficial in fighting cancer, reducing tumor growth and preventing metastasis. Mangosteen also works as an anti-inflammatory, and its effect on insulin production has been found to be therapeutic to those with diabetes or obesity. Controlling glucose levels plays a key role in weight management and cancer prevention. Works in synergy with Curcumin. Dandelion Root Yes, I mean the root of that inconsequential little weed growing in your yard. This little plant is packed full of nutrients and cancer fighting properties. Numerous studies have now shown the great benefit of these little plants. They have proven to be a strong anti-oxidant, inducing apoptosis in cancer cells in pancreatic cancer, leukemia, breast cancer, prostate cancer and even drug-resistant melanoma. The root of the Dandelion contains high concentrations of Vitamin A as well as other important vitamins, and acts as a diuretic, cleansing the kidneys and liver. Other evidence has also shown that this little plant can also positively affect insulin secretion. Curcumin comes from the Turmeric Root, a yellowish root from the ginger family. It is a strong anti-oxidant which protects the body from oxidative stress and inflammation. It has been proven to be effective against cancer, Crohn's, Ulcerative Colitis, Alzheimer's, Diabetes, and even Cystic Fibrosis. It has great wound healing and pain relieving benefits, as well as the ability to increase circulation and lower cholesterol. Works with Long Pepper and Mangosteen. Bitter Melon- Momordica Charantia is a bitter vegetable native to Asia and is used in Asian cooking. 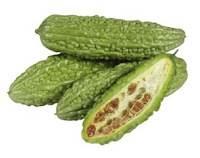 It has been used in Indian medicine to treat diabetes by inhibiting glucose transport throughout the body. It has the ability to cause apoptosis, or cell death, in cancer cells. Bitter Melon has proven to be effective against breast, lung, prostate, bladder, colon, liver, lymphoma, neuroblastoma, leukemia and other cancers. In regard to breast cancer, one study in particular showed very promising results. When breast cancer cells were exposed to Bitter Melon's extract, 80% of the cancer cells died within 48 hours, and none of the normal cells were affected. You can see more information about this study here. Side note: There are other compounds found in nature to be strong cancer cures not listed here. One of the most powerful is the Cannabis/Marijuana plant. In fact, the US Government Department of Health and Human Services holds the patent on the extracted compounds of Cannabis that prove effective against cancer. However, due to the plant's legality in many states, this has been excluded from the list. Other strong, natural cancer cures include Essiac Tea, Black Salve, Soursop, Astragalus, and Vitamin B17, also known as Laetrile. Although these compounds are proven to be effective against cancer, they also may come with serious side effects or contraindications for many people. I intentionally left those out due to their potential complications. This category of natural compounds includes major players in preventing oxidative stress. Like the ones above, they have cancer fighting ability to induce cancer cell death, but their role is more importantly to help alleviate inflammation caused by oxidative stress and improve circulation, cardiac function and glucose management. These are also extremely important in building the body's immune system. 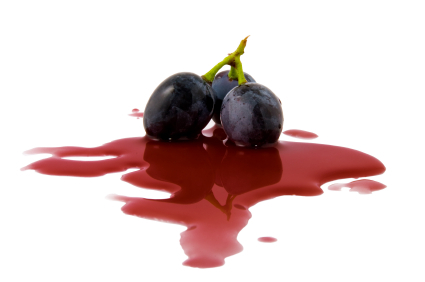 Resveratrol comes mainly from the skin of red grapes. It improves cardiac function and physical capacity. It helps reduce inflammation, prevents the oxidation of LDL cholesterol and makes it more difficult for platelets to stick together and form the clots that can lead to a heart attack. Resveratrol is thought to limit metastasis of cancer cells and triggers the process of cancer cell death in Bladder, Colorectal, Gastric, Cervical, Liver, Ovarian, Colon, Breast and Leukemia. It also helps prevent insulin resistance, a condition in which the body becomes less sensitive to the effects of the blood sugar-lowering hormone, insulin. Taurine is a sulfur-containing amino acid found in animal tissue. This strong anti-oxidant is known for it's ability to improve cardiac function by a number of pathways, including lowering blood pressure and reducing oxidative stress. It calms the nervous system resulting in less reaction to stress, and it supports insulin health, helping to prevent diabetes. Low Taurine levels are newly becoming a marker for many types of cancer. This essential amino-acid is also a strong anti-inflammatory. Ashwagandha / Indian Ginseng has been known for centuries for its rejuvenating and healing properties. It has adaptogenic properties which allow the body to deal with emotional and oxidative stress. It is full of amino acids and vitamins. This herb is often used for energy and vitality, memory and concentration. 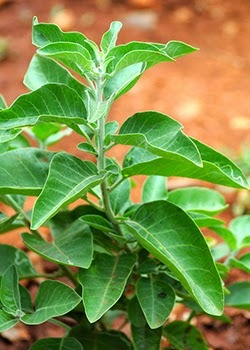 Ashwagandha has also proven to have potential in selectively killing tumor cells by causing apoptosis. Green Tea is loaded with strong anti-oxidants that improve brain function, lower the risk of cancer and enhance fat loss. It protects cells from damage due to toxins and bacteria. It is an anti-oxidant, anti-microbial, anti-viral, anti-tumor and anti-bacterial agent. It may also reduce risk of stroke. Other studies look at it's ability to inhibit metastasis specifically in breast cancer cells. Rhodiola Rosea is also known as the golden root or arctic root. It is a strong anti-oxidant known for it's ability to prevent fatigue, relieve depression, protect the kidneys from damage and induce apoptosis in cancer cells. It's also a free radical scavenger and improves heart function. 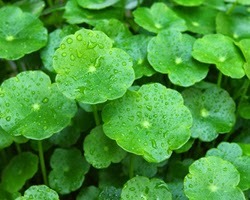 Gotu Kola / Centella Asiatica is a swamp plant that grows in Madagascar and Indonesia. It has been used for centuries for wound healing, mental fatigue and concentration, anxiety, dementia, skin conditions, and respiratory infections. It protects the cells against oxidative stress, and has been shown in studies to reduce liver tumors. Gota Kola may also protect the skin against Gamma radiation. Category three, Bronze, provides fundamental bacteria and live enzymes that establish a functioning chemical balance within the body. 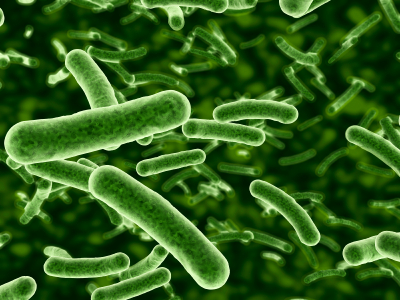 Probiotics are comprised of the working bacteria mainly contained in the gastrointestinal tract where 70 to 80% of our immune system cells are found. Probiotics help prevent infection, inflammation, and may even bind to carcinogens in the intestinal tract, promoting their excretion. They are essential for optimizing a properly functioning immune system. Enzymes are proteins that speed up the chemical processes in the body, mainly digestion. There are many types of enzymes all throughout the body, however the role of digestive enzymes is to break down the food we eat for our body to properly utilize the nutrients. Raw, plant based foods contain the highest levels of enzymes, but most of us eat cooked or processed foods that no longer contain these beneficial proteins, leaving us deficient. Stress can also lead to low enzyme levels in the body, compromising our immune system further. Low enzyme levels are also linked to Liver, Pancreatic and Ovarian Cancer. Quercetin is a plant pigment and flavinoid found in fruits and vegetables, mainly apples, onions, grapes, and berries. It is a strong anti-oxidant, anti-inflammatory, anti-histamine, and may protect against heart disease and cancer. It may also suppress insulin receptors, impairing cancer cells' ability to multiply. Quercetin has also been proven effective against cancer in Breast, Ovarian, Bladder, Prostate, Oral, Pancreatic, Cervical, Head and Neck, Lung, Liver, Renal, and Leukemia. Bromelain is a protein extract found mainly in the stems and juice of the pineapple. It has been used for centuries to reduce inflammation and aid in the wound healing process. Used in conjunction with Quercetin, it aids in digesting and utilizing a greater amount of Quercetin. Bromelain has been shown to be effective against the following cancers: Mesothelioma, Breast, Gastrointestinal, Colon, Glioma, and Skin Cancer. CoQ10 is an anti-oxidant that is found in every cell. It is found naturally in the body and in many food sources, and helps convert food into energy. It is at the very basic level of cell function. A deficiency in this can cause chronic physical and mental fatigue, high blood pressure, poor blood sugar regulation, stomach ulcers, heart failure, and poor response to depression medication, as well as a number of other ailments. In regard to cancer, CoQ10 has proven to combat oxidative stress and relieve chemotherapy related fatigue. The Big Three- Amylase, Protease and Lipase are digestive enzymes that break down starch, protein and fat within the digestive tract. As we age, the number of enzymes our pancreas excretes reduces. If we are deficient in these digestive enzymes, our cells do not get the proper nutrients from food. A deficiency is also caused by eating cooked, processed or irradiated food, killing the live enzymes. This can create inflammation within the body as well as compromise the immune system. Cancer patients have notably low levels of enzymes, and new studies are emerging with the use of enzymes as a therapy for cancer. This final category is about the basic compounds we need in our body to function optimally, reduce oxidative stress, build muscle, reduce acidity, promote a healthy immune system, reduce inflammation and prevent negative systemic responses and illnesses. Most of these can be found in a healthy, well rounded diet, but may need to be supplemented. References to the GOLD category may be found by clicking the links to each ingredient. You will be redirected to their information page with references. Many of the following references are links to the National Institute of Health's website with a search selection. The reason for this is due the sheer volume of clinical studies and articles done on each compound. You will see many selections and examples of how each substance has helped with oxidative stress, cancer, heart disease, and numerous illnesses. Selective killing of cancer cells by Ashwagandha leaf extract and its component Withanone involves ROS signaling. Widodo N, Priyandoko D, Shah N, Wadhwa R, Kaul SC. .Green tea (Camellia sinensis) extract inhibits both the metastasis and osteolytic components of mammary cancer 4T1 lesions in mice. Luo KW, Ko CH, Yue GG, Lee JK, Li KK, Lee M, Li G, Fung KP, Leung PC, Lau CB. J Nutr Biochem. 2014 Apr;25(4):395-403. doi: 10.1016/j.jnutbio.2013.11.013. Epub 2013 Dec 31. Taylor PW, Hamilton-Miller JMT, Stapleton PD. Antimicrobial properties of green tea catechins. Food science and technology bulletin 2005;2:71-81.